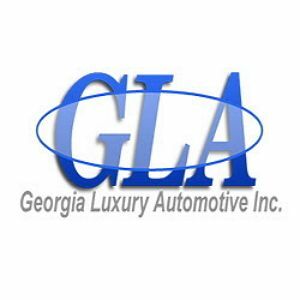 Georgia Luxury Automotive - Georgia Luxury Automotive utilizes state-of-the-art equipment and materials, while employing the finest technicians in the industry. We strive to complete the job in a timely manner. At Georgia Luxury Automotive we operate with honesty and integrity. Under these principles we have been able to grow into one of the premier mechanical and collision repair specialists in the metro Atlanta area. Our automotive repair technicians specialize in luxury imports including Porsche BMW, Mercedes Benz, Audi, Lexus, Acura, Infinity, Land Rover and Jaguar as well as all domestic vehicles such as Ford, GM and Chrysler and imports like Honda, Toyota, Nissan and Mazda. We pledge that your vehicle will be repaired to its original condition and we are 100% committed to Customer satisfaction. We provide all mechanical repair services for Air Conditioning Systems, Automotive Oil Changes, Belts, Hoses & Filters, Brake Service & Repair, BS & SRS Lights, Check Engine Light, Dent Removal, Diagnostics Services, Electrical Services, Emissions Repair, Engine Replacement, Exhaust System, Factory Scheduled Maintenance, Fuel System Service, Head Gaskets, Radiator Flush & Fill, Steering & Ride Control, Shocks & Struts, Suspension, Tune Ups, Wheel Repair, and more. Car Accidents, Proper Structural Repairs, Tires & Alignment.